indi is a line of clothing for children that honors the tradition of natural indigo dyeing and techniques that have been passed down for generations. For every garment produced, 20% of of the cost is invested up-front in the empowerment of children through our partnership with Girl2b and our artisan communities. More than a color, indigo is a custom, craft, and tradition that goes back centuries and can be found the world over. We want to explore ways to honor the individuality of these diverse indigo cultures while also finding common threads that celebrate our shared humanity. It’s this story that inspires us to pursue indigo and its potential to point to answers from the past and pave a way toward a more positive future. We started indi as a way to offer beautiful clothes for our little ones that represent the values we stand for—and the world we want them to grow up in. 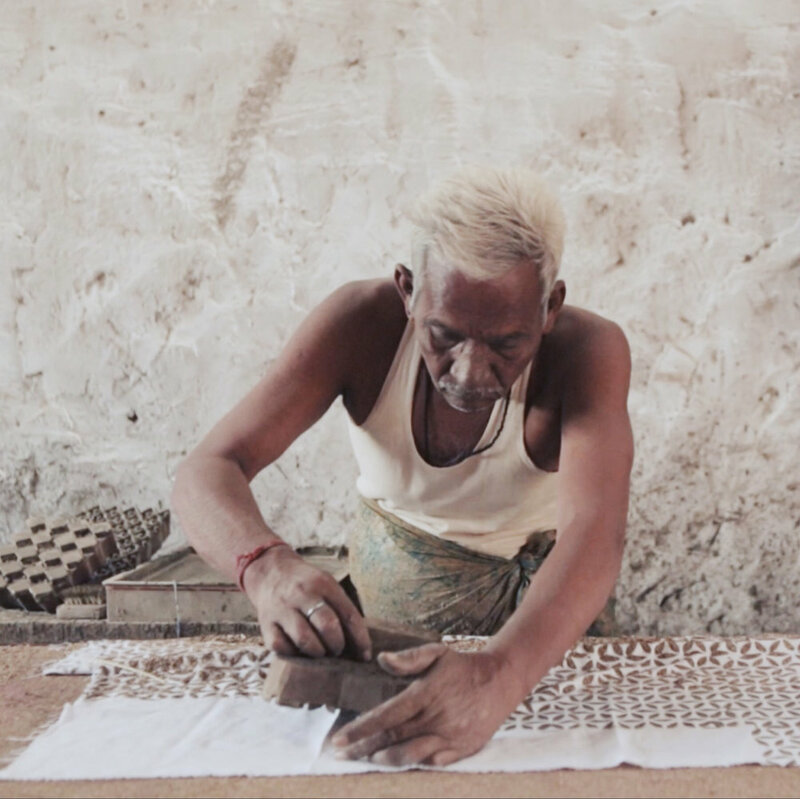 In all that we do, we honor artisan traditions and the communities where these traditions were born. Each piece we design is created in collaboration with our artisan partners and respects their craft through fair wages and consumer education. How we make our clothes stands in opposition to the trends of the fashion industry. By implementing ethical business models and a commitment to natural print processes, we’re able to offer high-quality clothing while respecting the planet and the economy. By streamlining our supply chain and cutting out unnecessary agents, we’re able to reallocate 20% of the cost of production into education initiatives in the communities we partner with. Established and reputable partners like Girl2B ensure that these efforts are creating meaningful and lasting impact. Indi was created with the hope to form a community of people across the globe who share similar beliefs and aspirations for how we treat one another, how we treat our planet and how we nurture our children and their future. This community includes our artisan and education collaborators, and it includes you, our customers. It’s people who want to see their values manifested in our lives today — and in the lives and world we want our children to grow up in. If you want to stay in touch with us as we strive to achieve this goal, please join our list.